Motorists are advised of planned detours along State Road (S.R.) 44 near Woodland Boulevard from about 6 p.m. Friday, June 8, through Sunday, June 10. Woodland Boulevard will remain open. Access to businesses and residences between Amelia Avenue and Woodland Boulevard, and between Clara Avenue and Woodland Boulevard will be maintained. The closure is needed for concrete repairs on S.R. 44 on both sides of Woodland Boulevard. The work is weather permitting. During the closure, S.R. 44 traffic will be detoured around the work zone using Clara, Amelia, Rich and Howry avenues. Please see attached map. The closures are part of a Florida Department of Transportation (FDOT) project to repair and replace sections of concrete roadway along S.R. 44 between Boundary and Hill avenues. An additional detour is expected near Alabama Avenue later in the month. Electronic message boards will be used to alert motorists to lane closures and detours, and updates will be available on the FDOT’s Central Florida website, CFLRoads.com. Drivers are alerted to a weekend road closure of Reed Canal Road approaching U.S. 1/South Ridgewood Avenue in South Daytona. Reed Canal Road will be closed between Carmen Drive and U.S. 1 from about 9 p.m. Friday, May 18, through 6 a.m. Monday, May 21, to allow crews to replace a storm pipe under the road. Residents and visitors of the Bristol Bay Condominiums will be able to access the Banana Cay Drive entrance coming east on Reed Canal Road from Carmen Drive. During the closure, the posted detour will use Carmen Drive, Ridge Boulevard and U.S. 1. A map is attached for more information. The drainage work is part of a Florida Department of Transportation (FDOT) intersection improvement project at the U.S. 1 intersection with Reed Canal Road. The work includes widening and lengthening the left turn lane from southbound U.S. 1 to Sandy Circle and adding a right turn lane from southbound U.S. 1 to westbound Reed Canal Road. There also will be dedicated turn lanes created from Reed Canal Road into Bristol Bay Condominiums, as well as a new left turn lane from Reed Canal Road to northbound U.S. 1. Electronic message boards and other signage will be used to direct motorists. Please note schedules may change. Construction updates are available on FDOT’s Central Florida website, cflroads.com. Media inquiries should be directed to the District Five Public Information Office at 386-943-5479 or D5-PIO@dot.state.fl.us. Drivers on State Road (S.R.) 44/New York Avenue in DeLand can expect detours this weekend at the intersection with Clara Avenue west of Woodland Boulevard. The detour will begin around 9 a.m. Friday, April 20, and last through approximately 6 a.m. Monday, April 23. The closure is needed to accommodate concrete slab replacement within the intersection. S.R. 44 traffic heading west will turn right on Florida Avenue, left on Rich Avenue and left on Stone Street. S.R. 44 traffic heading east will turn right on Stone Street, left on Howry Avenue and left on Florida Avenue. U.S. 17/92 traffic traveling north to westbound S.R. 44 will turn left on Howry Avenue, then right on Stone Street. U.S. 17/92 traffic traveling south to westbound S.R. 44 will turn right on Wisconsin Avenue, left on Florida Avenue, right on Rich Avenue and left on Stone Street. The detours are part of a Florida Department of Transportation (FDOT) project to repair and replace areas of concrete along S.R. 44 between Boundary Avenue and Hill Avenue. Please note construction schedules may change due to weather or other circumstances. Electronic message boards will be used to alert motorists to lane closures and detours. 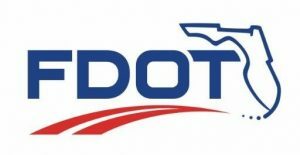 Updates will be available on the FDOT’s Central Florida website. Motorists should be aware of an upcoming seven to 10-day detour on Old Goldenrod Road at State Road (S.R.) 15/Hoffner Avenue in Orlando for work at the intersection, weather permitting. Traffic will be directed around the closure using S.R. 551/South Goldenrod Road as a detour (see map attached.) Electronic message boards have been installed to inform motorists about the new traffic pattern. The work is part of a Florida Department of Transportation (FDOT) project to widen and reconstruct Hoffner Avenue from a two-lane street to a four-lane divided roadway from Conway Road to north of Lee Vista Boulevard. Schedule updates are available on the FDOT Central Florida website, www.cflroads.com. For construction-related questions, please contact Shemir Wiles, Public Information Coordinator, 321-319-8130 or shemir.wiles@dot.state.fl.us. Media inquiries should be directed to FDOT Communications Manager Steve Olson at 386-943-5479 or steve.olson@dot.state.fl.us. South Bluford Avenue at State Road (S.R.) 50/West Colonial Drive will be closed from 7 a.m. Friday, May 5, to 7 a.m. Monday, May 8. Motorists on S.R. 50 needing to access South Bluford Avenue will be directed to use Maguire Road as a detour (see map). The contractor, The Lane Construction Corporation, will beperforming a pipe crossing. Electronic message boards have beeninstalled to inform motorists about the road closure, and detour signs will direct traffic. As part of the northbound I-75 traffic shift to the newly constructed northbound bridge, anticipated to take place Sunday, April 23 at the I-75/University Parkway interchange, the I-75 northbound off-ramp and the I-75 northbound on-ramp are closed at night/overnight, Sunday, April 23 from 10 p.m. to 5 a.m. Motorists traveling north on I-75 wishing to exit at University Parkway are directed to continue north on I-75, exit at SR 70 westbound, enter southbound I-75 and exit at University Parkway/Exit 213. Motorists traveling on University Parkway wishing to travel north on I-75 are directed to enter southbound I-75, exit at Fruitville Road/Exit 210, travel east and enter northbound I-75 and continue north on I-75. Northbound I-75 traffic headed to westbound C.R. 470 will be directed to exit at State Road (S.R.) 44 (Exit 329) and access C.R. 470 via I-75 south. Northbound I-75 traffic traveling to eastbound C.R. 470 will not be impacted. Southbound I-75 traffic headed to eastbound C.R. 470 will be directed to exit at S.R. 48 (Exit 314) and access C.R. 470 via I-75 north. Southbound I-75 traffic traveling to westbound C.R. 470 will not be impacted. Eastbound C.R. 470 traffic headed to I-75 north will be directed to travel I-75 south to S.R. 48 (Exit 314), and re-enter the interstate using the northbound entrance ramp. Eastbound C.R. 470 traffic continuing on C.R. 470 will follow the same detour and exit northbound I-75 at C.R. 470. Eastbound C.R. 470 traffic traveling to southbound I-75 will not be impacted. Westbound C.R. 470 traffic headed to I-75 south will be directed to travel I-75 north to S.R. 44 (Exit 329), and re-enter the interstate using the southbound entrance ramp. Westbound C.R. 470 traffic continuing on C.R. 470 will follow the same detour and exit southbound I-75 at C.R. 470. Westbound C.R. 470 traffic traveling to northbound I-75 will not be impacted. Northbound C.R. 475 traffic headed to westbound C.R. 470 will be directed to travel north on I-75 to S.R. 44 (Exit 329), re-enter the interstate using the southbound entrance ramp, and exit at C.R. 470, bypassing the road closure. Southbound C.R. 475 traffic and northbound C.R. 475 traffic traveling to eastbound C.R. 470 will not be impacted. In addition to closing a portion of C.R. 470, the southbound off ramp at Exit 321 will be closed for a duration of 10 to 15 minutes on both Wednesday and Thursday nights. The closure is required for the contractor, D.A.B. Constructors Inc., to set beams for the new C.R. 470 bridge. The work is part of the Florida Department of Transportation (FDOT) I-75 widening project from C.R. 470 to just south of Florida’s Turnpike. Please note that this schedule may change due to weather or other unexpected conditions. Project updates will be posted to FDOT’s Central Florida website, www.cflroads.com. To ensure your safety and the safety of others, please exercise extra caution when driving through construction work zones.